Using Salesforce? There's no need to worry about setting up complex workflows in order to properly handle Drift conversations. With Salesforce Routing, you can ensure the right rep is being routed to the right lead. Salesforce Routing is available on our Pro plan and above. Navigate to Settings > App Settings > Apps > find Salesforce, connect the account using your Salesforce credentials, and select Mapped Salesforce Users. You can do this manually or we can auto-map the users for you! Drift can now automatically map users from Salesforce. When you tap the "Automatically Map Users" button on this page, we'll pull your team's names and email addresses from SFDC and match them with your Drift team profiles instantly! With your users properly mapped, you can now customize how Drift handles routing within a conversation according to Salesforce. To configure this, click 'Create New Rule' in the "Conversation Routing" tab within Settings, then click "Salesforce." You will be prompted to set up how you would like Drift to search for and match the Salesforce Owner. You can setup a primary object/field combination to look for, along with secondary and fallback conditions should the primary condition not be satisfied or fail. You also have the option to choose how Drift looks up this Account! The drop downs for Leads, Contacts, and Accounts will also pickup any lookup field that refers to a Salesforce User object. Once you customize the logic for your Salesforce Routing Rule, double check your Mapped Salesforce Users. 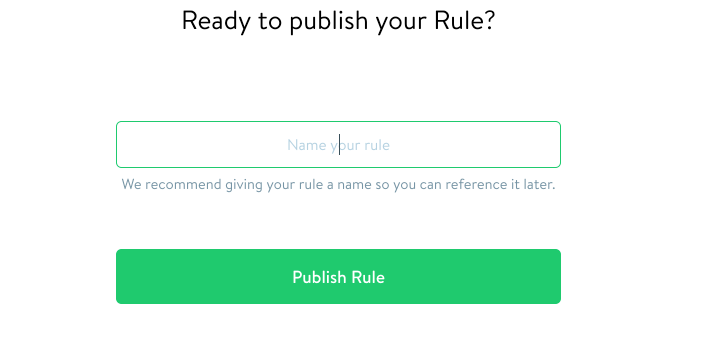 Lastly, name your routing rule and click Publish! Make sure to add an email capture question in your LeadBot playbooks BEFORE you route the conversation with this rule. Our system will then be able to look up the correct rep using the email to follow your Rule's settings.